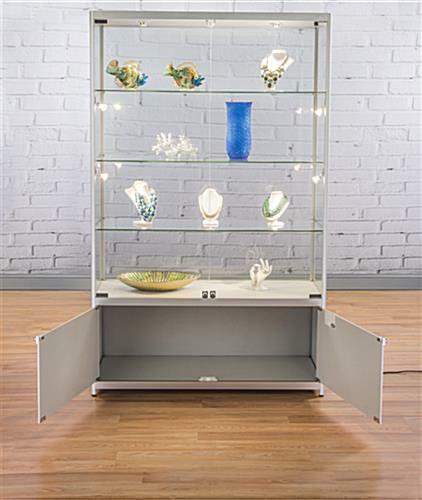 These silver LED display cases are great for retail stores where they can illuminate jewelry, curios and electronics. 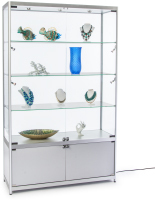 Each cabinet has a full-view design with tempered glass panels and shelves to keep merchandise highly visible. 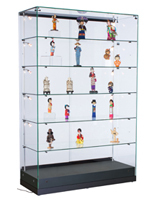 In addition, the LED display cases feature a lower storage area for keeping supplies and wares out of sight. 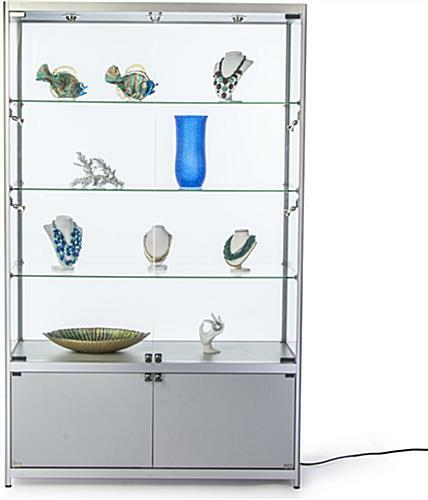 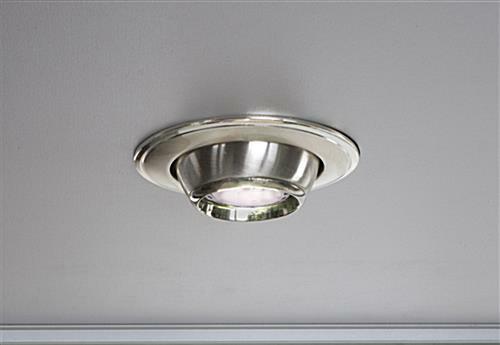 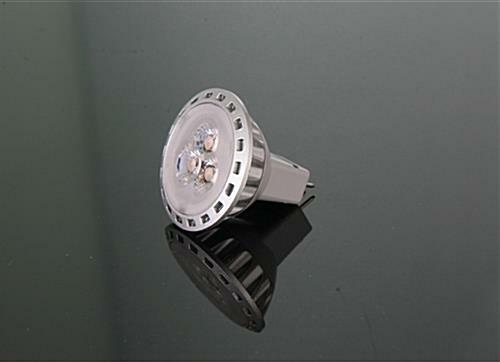 The showcases illuminate items with their three top and four side mounted bulbs. 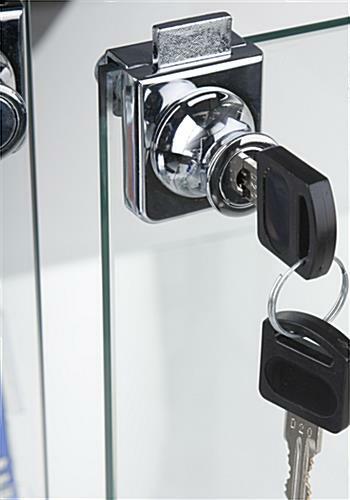 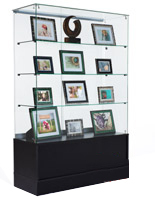 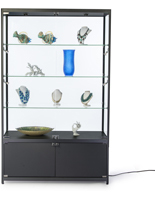 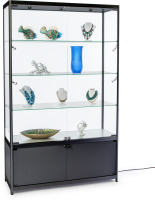 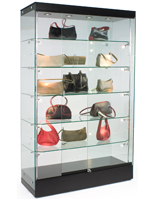 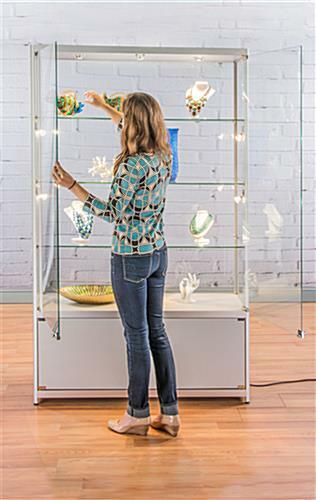 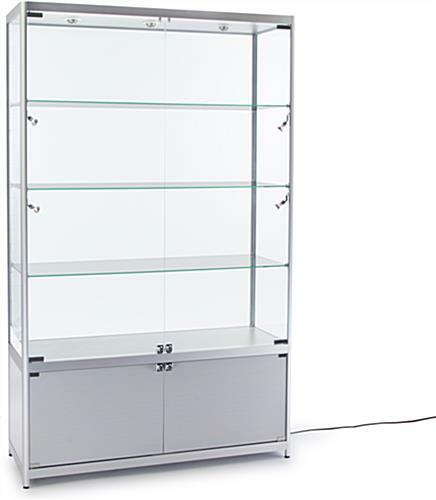 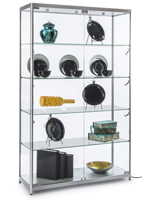 Both the display cases' swinging glass doors and storage area can lock to prevent theft. 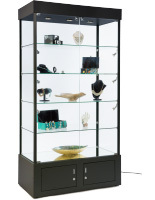 The cabinets have a durable aluminum frame with a neutral finish that matches any retail environment.